Disclosure: My friend Sarah let me participate in a paint party with her new business for free in exchange for social media amplification. I also offered to write a blog and I’m glad I did! All opinions are my own. Sarah is a dear friend who recently started the business Something From Nothing Paint Parties. This is her and me after I joined one of her classes! I first met Sarah when we co-workers at the same marketing agency. Both of us have gone our separate ways and each have our own business but our friendship remains. I really value her wisdom, listening ear and kindness. I also always admire her artistic talent and frequently refer clients to her if they need graphic design help. I was so proud of her recently when she announced a new business called Something From Nothing Paint Parties. You’ve heard me talk about paint parties where everyone goes to the same place and paints the same picture even if they have zero artistic inclination (like me). Well, Sarah takes a whole new approach to this idea and instead of requiring people to visit a place of business, she brings the party to you. In two hours, she can help you create your very own piece of art. 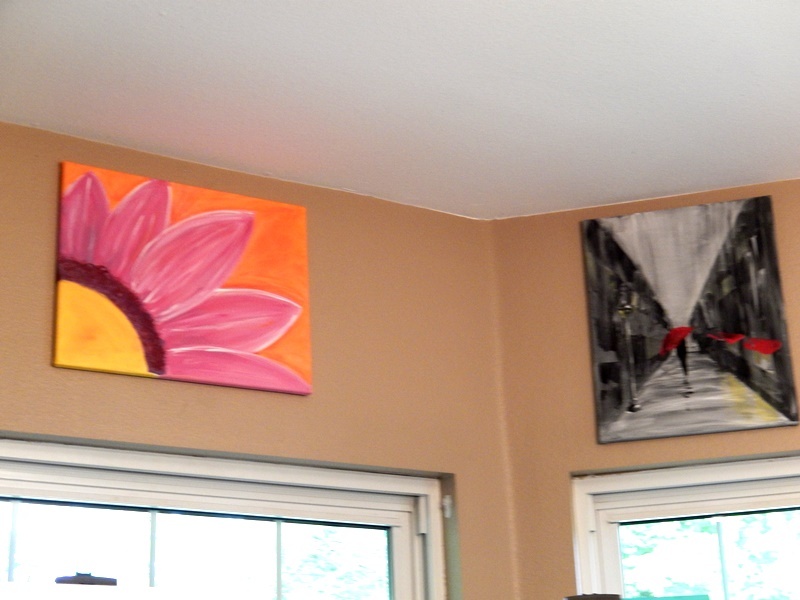 Sarah provides the paint, paint brushes, easels, and canvases. 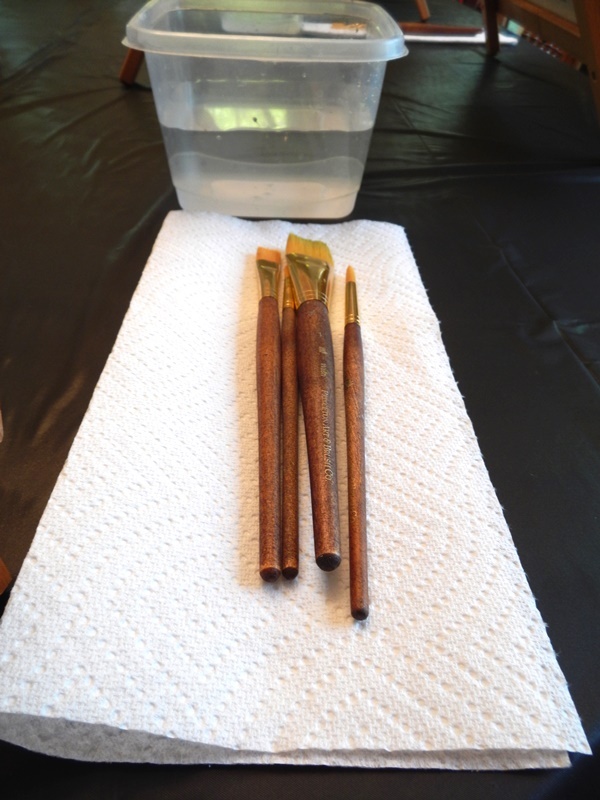 What she also brings is a fun and relaxing time filled with kind, light-hearted instruction. 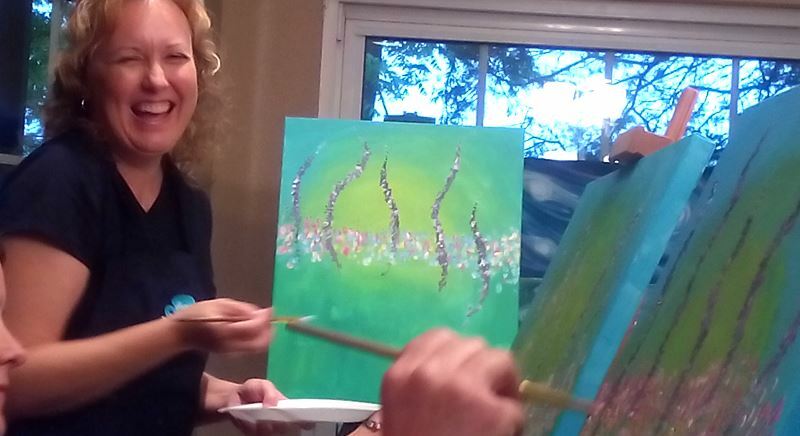 She patiently guides people through each step of the painting and encourages each person along the way! I know this picture is blurry but I just had to share it because it shows Sarah’s fun side. I love entrepreneurialism and people making their own special version of an idea. What I also love is when that entrepreneurial effort has a beautiful idea behind it. At the party I attended, Sarah talked about how painting is “like magic” because it lets you start with nothing and it becomes something. She went on to say that it’s similar to what God does in our lives. The whole idea just gives me goosebumps. You start with a blank canvas then work on the background, adding detail as you progress. When finished, you have something you created from nothing. 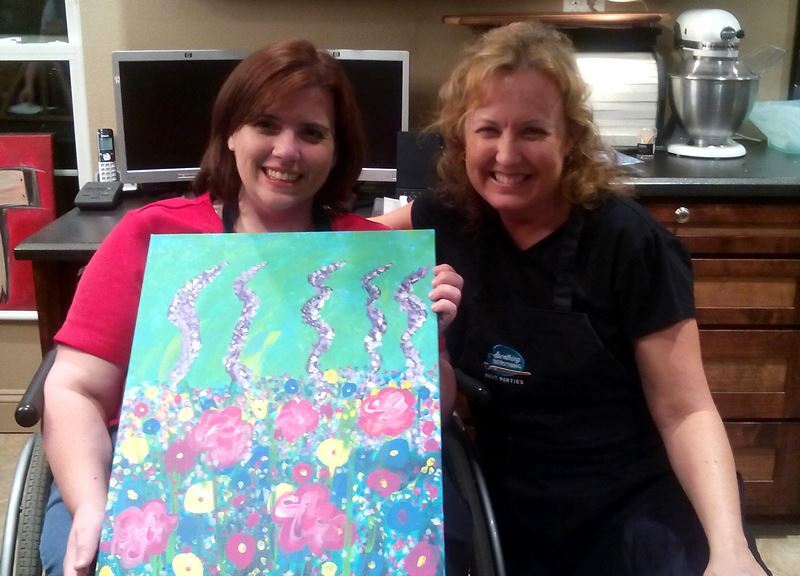 The painting we did is inspired by Lilly Pulitzer. Sarah’s parties work pretty simply. People register through the party host and the host pays the entire class’ fee at once (there is a deposit). That gives the host the ability to know who is attending the party for sure and the guests the ability to just pay the host instead of registering online at a business. You can also order small catering packages (meat/cheese trays) through Sarah. 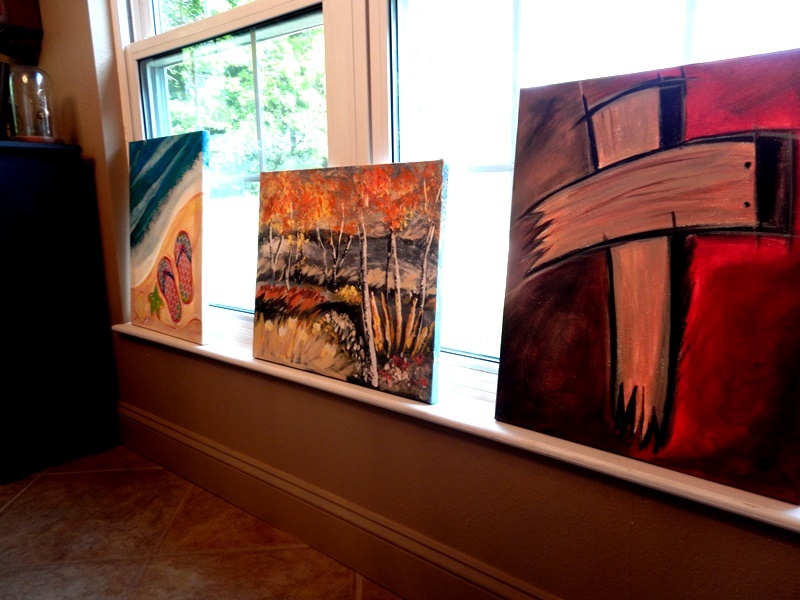 The host gets to choose which painting will be created in the class and Sarah has a growing repertoire of paintings available. I highly recommend Something From Nothing Paint Parties for a family party, bridal shower, girls’ night out, or just a great get together. If you live in Northwest Arkansas, you definitely need to give this a try. It’s so much fun! The results are true to life. We were all given the same instruction and the same resources but what each person came up with was unique. What a great idea! I’ve often toyed with the idea of doing something similar with my mom’s and my jewelry business hosting parties. Best of luck to Sarah!